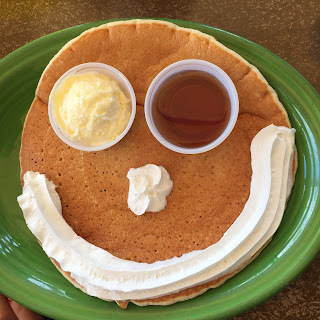 Running with SD Mom: #WeeklyWrap: Running, Coffee and Breakfast with Santa! #WeeklyWrap: Running, Coffee and Breakfast with Santa! Disclaimer: I was provided complimentary Brunch with Santa in exchange for my honest review. I was not compensated in any other way. Happy Monday Friends! 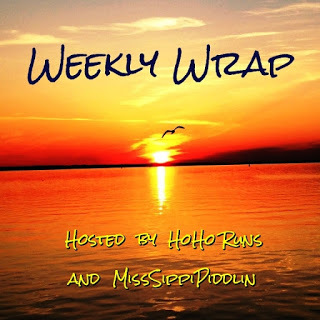 Because it was so much fun last week, I am again linking up with the Weekly Wrap hosted by HoHo Runs and MissSippiPiddlin. The big news is that I finally got to wear my new ProCompression socks and this brand new tank designed by me from Lua! And best of all, I got to wear them with my girls! It was the first time in a long time I ran with Jamye. And every time I run with Jenn and Vanessa is a blast! Jamye and I were really festive! But things got really festive when we headed to Cafe Coyote to have Breakfast with Santa (yes I took a shower first!). S ordered the "Merry & Oh so Bright." D had the Blitzen's Surprise. And SDDad had the Machaca burrito. HUGE and generous portions with awesome service, unlimited coffee and hot chocolate for the kids. We were seated on the outdoor patio on a beautiful day in December in beautiful San Diego. They had crafts for the kids. Make your own ornaments anyone? Or do you want to get your face painted? She had quite the setup! S chose candy canes and snowflakes! Or did you want a balloon shaped like the Good Dinosaur? You could have that too! But of course, the main event and star of the show was the guy in the big red suit - Santa himself! We all got to spend time with him and the reservations were well spaced out so each family had time with him. I had to get a Santa Selfie of course! It was a great event with good value for your money! Every child got a Cafe Coyote beach ball and candy canes and all the crafts they could handle. The weekend ended with an epiphany about coffee. Here is a whole new way to think of your coffee addiction! So, now tell me about your weekend. Have you ever had breakfast with a superstar? Do you have those ProCompression holiday socks? What do you think about coffee? I am sooo addicted to coffee. I drink it all day and even in the evening. It calls me. So maybe you are right I am the coffee's addiction! Love the socks. I have the compression socks but not such beautiful happy ones! Those holiday ProCompression socks look awesome! Sounds like a fun time at Cafe Coyote! Love that they had crafts and such for the kids and of course meeting Santa, so fun! Smitha I'm so glad you decided to join us again this week and I hope you'll make it a habit! Love the new Pro Compression Christmas socks! I didn't order in time but maybe I'll be more on the ball next year! Breakfast with Santa sounds amazing and look at all that food! Wow! Love the face painting, I'd so have to have that done too! They do have quite the setup right there! I love coffee, and have been experimenting with different flavors too! Good way to look at it....my coffee is so addicted to me!!! ;) Merry Christmas Smitha! Welcome back SD. It's great to see you here again. Those are very cute Christmas socks. Now I get it. Coffee is addicted to me. I love that -- and coffee! The Breakfast with Santa event looks wonderful. It's nice Santa spent time with each family and they had the activities for the kids. I hope you and your family have a Merry Christmas! I came so close to getting those socks and waited about an hour too long. They were sold out. I'm kicking myself now! Oh! And I hope you and your family have a very Merry Christmas! !